The third installment of the very popular series of action adventure games created by Naughty Dog. 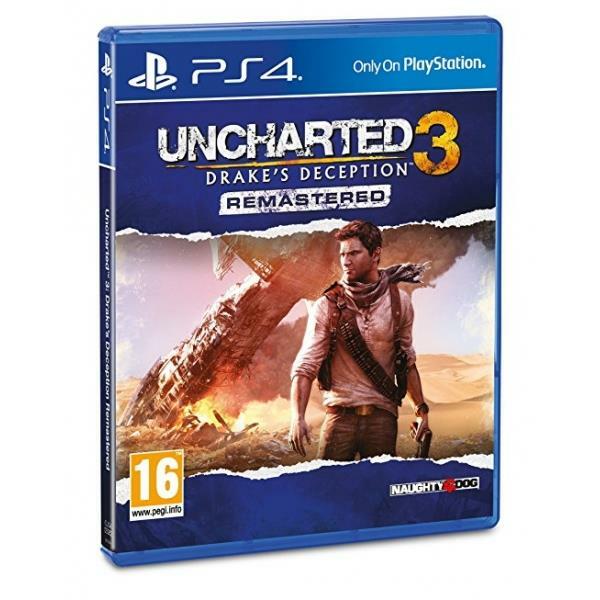 The story of Uncharted 3 Drakes Deception tells another tale of the treasure hunter Nathan Drake. This time the main protagonist must find the legendary city of Ubar. A group of thugs led by Katherine Marlowe is standing on his way. The basic fundaments of the gameplay haven’t changed. The developers from Naughty Dog wanted to combine elements of adventure game, action game, shooter and even beat’em up genre with a cinematic feel. In comparison to previous installments of the series, Uncharted 3 Drakes Deception offers much more advanced multiplayer mode and visuals that push the PlayStation 3 power to the limit.